From design to build, we create your dream outdoor kitchens environment while connecting with each individual style and landscape. Harpeth Valley Hardscapes has years of experience and we handle one project at a time to totally focus our energy and creativity to your dream outdoor space. Outdoor kitchens are becoming very popular in Nashville and the surrounding areas. It’s almost a necessity these days in both residential and commercial properties. The need to accommodate guests, friends and family gatherings is a great plus. Being able to have an extension of your indoor kitchen in the outdoors makes it that much more relevant. Hosting a party in your new outdoor kitchen will be the highlight of your Spring, Summer and Fall Months. Take advantage of your local outdoor kitchen builder, Harpeth Valley Hardscapes. We have years of trusted customer service, quality workmanship, and experience to make your outdoor kitchen dreams come true. Outdoor kitchens are not only a functional way to host get-togethers and parties, they are also a great investment for your property. It makes the outdoor area more functional and adds to the property value. Every dollar you put into your outdoor kitchen comes back on average 150% return should you ever decide to sell your home. 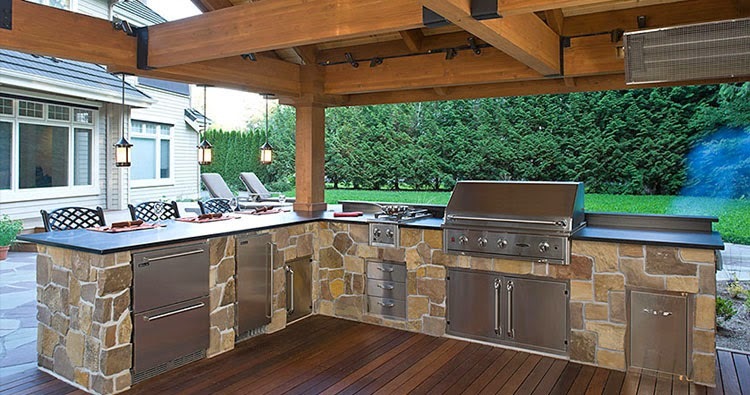 Simply hiring anyone to design and construct your outdoor kitchen is not enough. You must rely on a quality company that specializes in hardscaping to get the highest caliber workmanship and service. Contact us and let us give you a customized, 3D graphic rendering of your space along with a price that works in your budget.